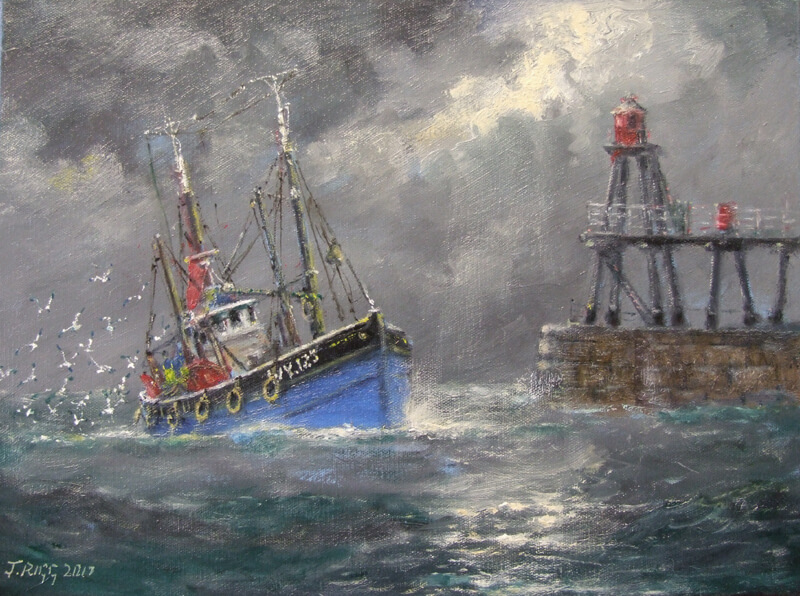 Admirers of Yorkshire marine artist Jack Rigg's work invariably cite his treatment of the sea and the sky as the main attraction of his work, and perhaps the greatest tribute to his skills is the fact that fishermen are among the biggest buyers of his paintings. 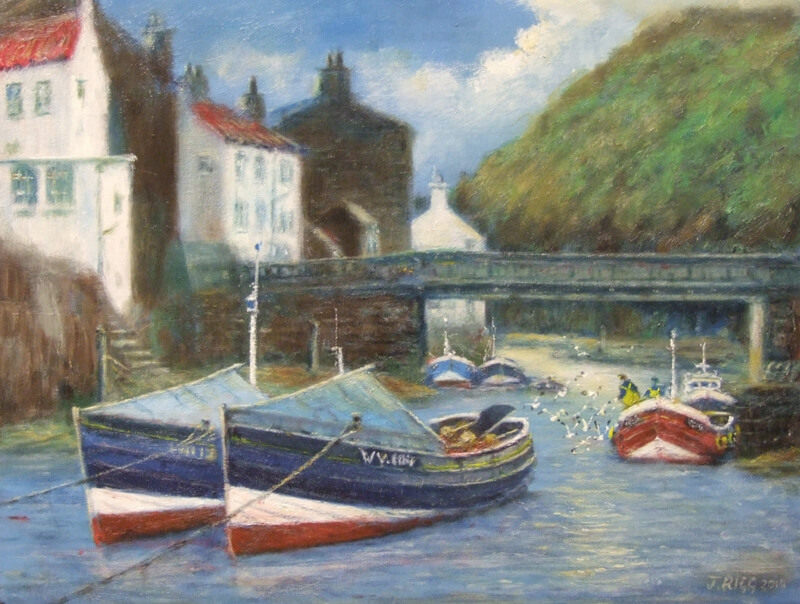 Jack was born in Farsley, near Leeds, West Yorkshire, and gained his love of the sea during service in the Royal Navy. From the outset he had a preference for marine paintings, and in 1978 took the decision to give up work and take up painting professionally. 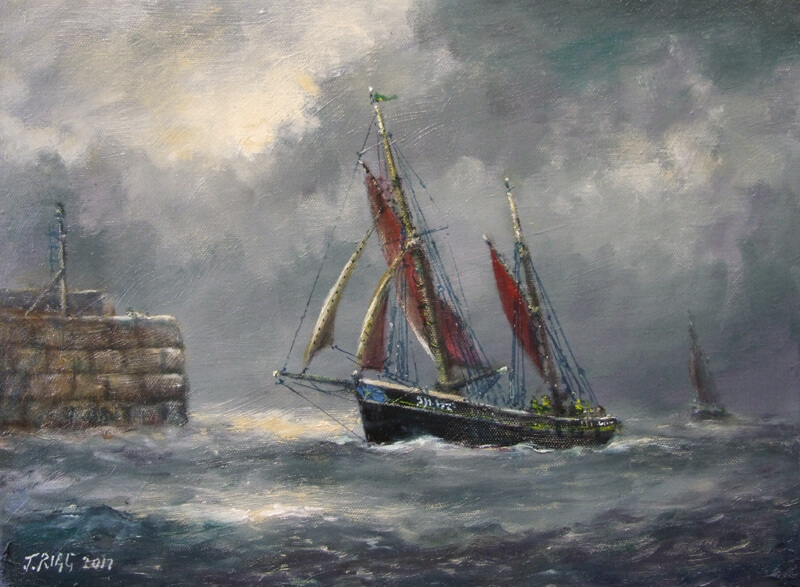 Since then Jack Rigg has become one of the UK's leading marine artists. 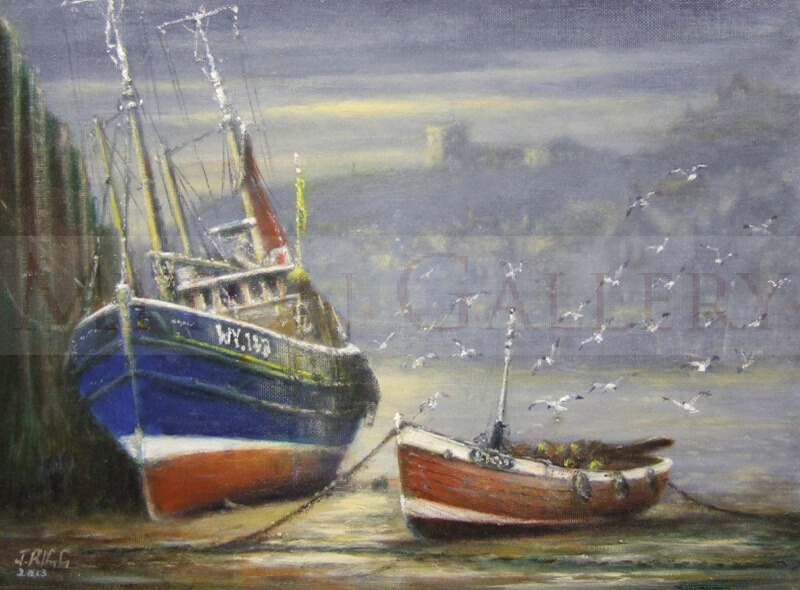 Working in oil on canvas, Jack is known for his paintings of trawlers and fishing boats that sail out of east coast of England towns such as Whitby, Scarborough and Bridlington, as well as the east Yorkshire port of Hull. Jack Rigg has sold paintings as far afield as the United States, the Middle East and Australia, and his work is in collections throughout the world.